Imagine welcoming your guests to a perfectly-maintained private event apartment, making everyone feel immediately at home and comfortable. Is this not the ideal atmosphere you'd want to create at your next intimate event venue? 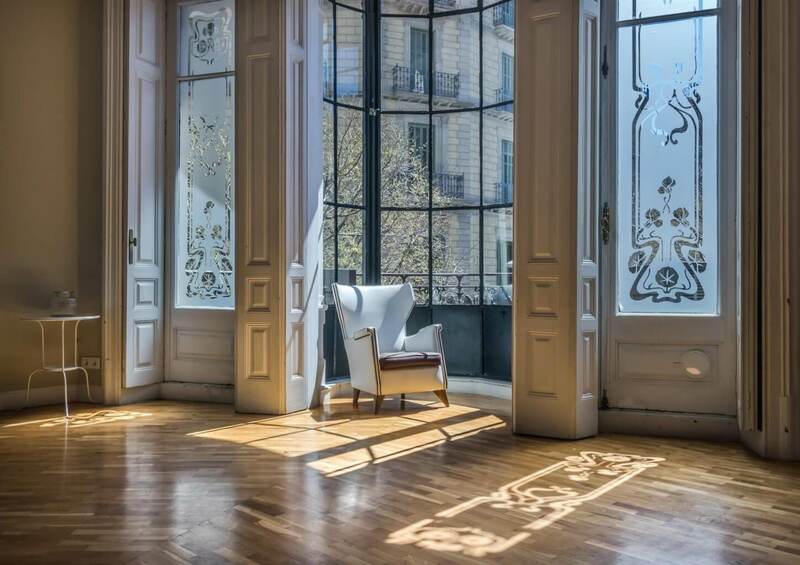 Warm lighting, central location, incredible views of the Passeig de Gracia, and an entirely exclusive space for you and your guests is what you can expect at one of the most classical event venues in Barcelona - The Glassroom. From the structure itself of the apartment, to the meticulous maintenance, this event venue is one of the best-kept secrets when it comes to unique venues in the city. Here's everything you need to know about this timeless, classical, private Barcelona event venue. When you plan an event in a foreign country, there are always uncertainties and factors that allow doubts to creep into your mind about whether or not to take the risk. You don't speak the language, it requires travel and accommodation logistics for hundreds of people, and you don't know the city. Planning an event in a foreign destination can most certainly cause an extra level of stress. However, the benefits can make for one of the most memorable events you'll ever host, and make the hassle completely worth your while. As we begin our private tour of this impressive Barcelona event venue, let your mind run free, and begin to envision the canapes, flowing cocktails and clinking of glasses, the handshakes, and the smiling faces of your guests as they enjoy their corporate event. If this is something you want for your next event, then you're ready for your private tour of The Glassroom Barcelona. Rather watch the tour in 2 minutes? 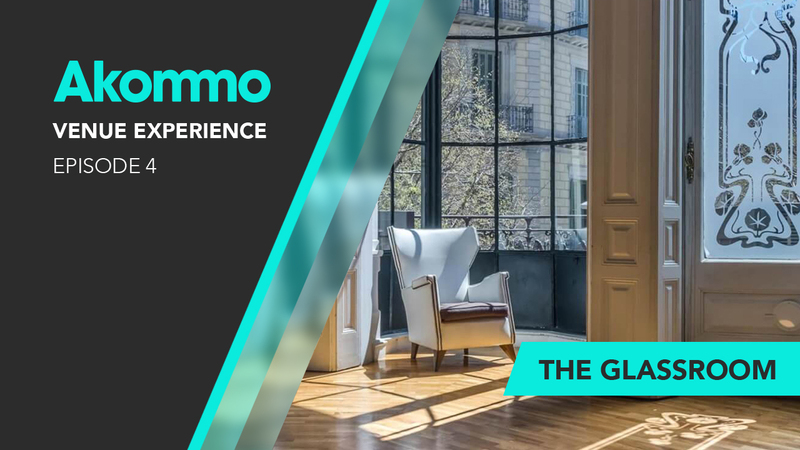 Check out theprivate tour of The Glassroom with Jason Greenman, the CEO and original event expert of Akommo. This impressive venue dates back to the mid 1800s when it was first constructed by famous architect, Rafael Guastavino. This building was built 1868 for a banker named Víctor Blajot, made with a famous neo-greek style façade that was a major architectural trend in those days. The style of this building was considered far more than just architecture by Guastavino, who considered the very essence of its construction art. For this reason, he joined forces with Rosendo Nobas Ballbé, a famous artists in Barcelona at the time, and commissioned a stunning frieze on the ceiling of the building. Unfortunately, half of this frieze was destroyed when the marquée of a building below was being constructed. 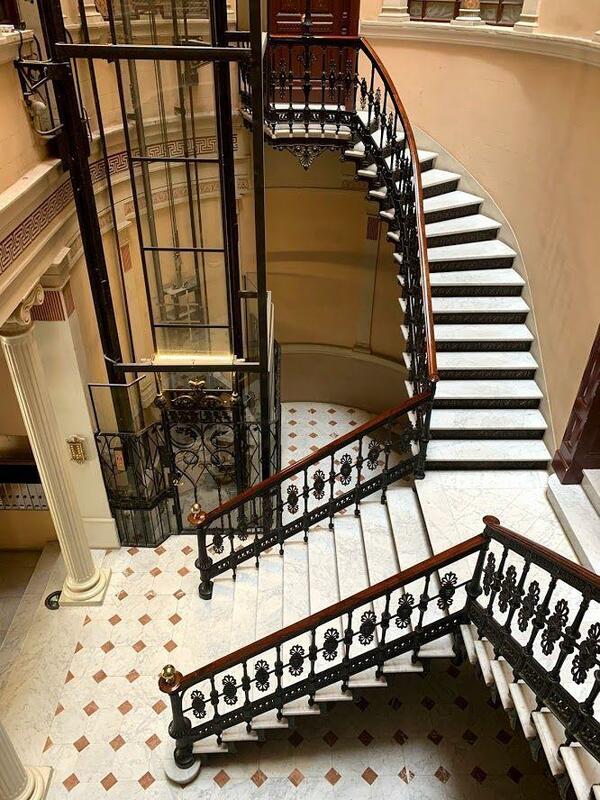 The marble staircase with iron railings makes you feel like you're walking up the stairs and back in time. The modernist era of architecture was one that followed a process of nature to achieve cohesion. Rafael Guastavino created the Guastavino System, based on applying the system of the Catalan Vault in the construction, which you can find in many classical buildings in Barcelona. Not to mention, this Catalan vault ceiling construction can be found in many different important and famous buildings in the US, such as in the Ellis Island Immigration Lobby. Thanks to Guastavino's immigration to the US, he created a fireproof construction company after fires were consuming poorly-constructed homes all over North America in the late 1800s. 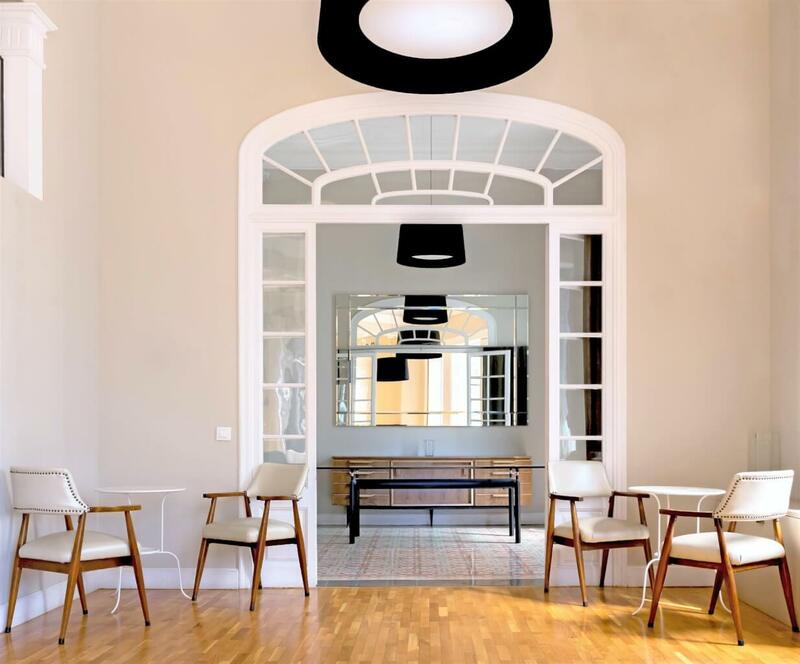 This historical venue apartment helps you look into the past to understand just how advanced and sustainable the architecture was (and still is), as well as appreciate the importance that its architect played in creating construction systems that positively affected the world. Barcelona is full of gorgeous venues for hosting enjoyable events. Click here to see where you can host your most unique event yet. If you're looking to host an event where you can arrange the space in various different setups, such as Imperial, U-shaped, banquet, cocktail, classroom, theatre, or even for something like a fitness class, this is a perfect central option. Private Dinner Party - Hosting up to 60 of your most important and esteemed guests for a private dinner party in banquet format at Glassroom Barcelona is just one of the possibilities at this delicate event venue. Be sure to hire some of the best catering in Barcelona, you want this event to be perfect. VIP Business Lunch - The lighting of this event venue makes for an incredible place to have an afternoon business lunch and private conference. If you're looking for a place to host a special lunch for a promotion, corporate announcement, or to host foreign business partners in a fancy space, this is a perfect option. Filming Projects - The trick to capturing a great shot on film has to do with finding the perfect angle and the best lighting. Many people have filmed interviews, fitness videos, press releases, and more here. Cocktail Reception - The best option for hosting the maximum number of guests is in cocktail format, as you can fit up to 100 guests in the event apartment. Open bar, DJ, finger food, and a great evening to be had by all. 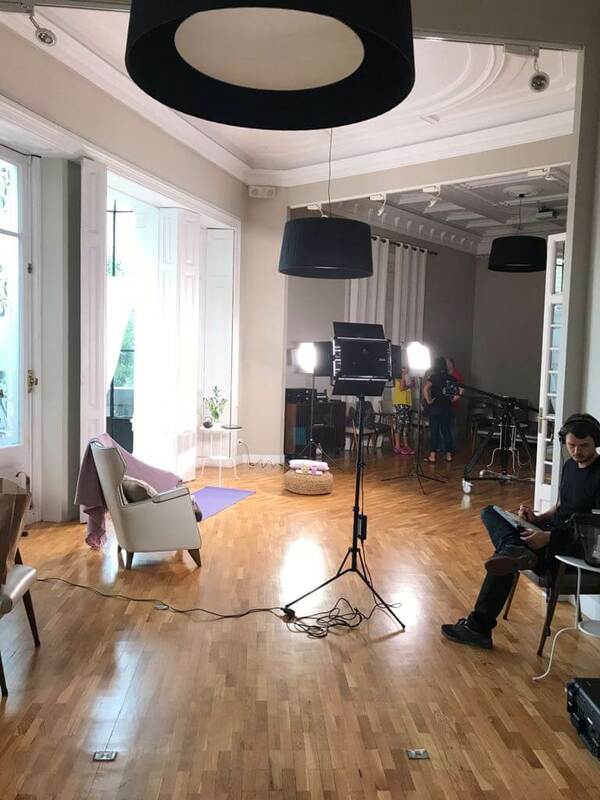 Presentations - Using the theatre-style setup, you can host a book release, app launch, and announce many more noteworthy events for your company in this space overlooking Barcelona's most famous shopping street. If you're looking to impress your guests with an unbelievable event venue, Barcelona is full of some of the most extraordinary spaces for conferences, gala dinners, parties, you name it. Our company strives to offer the most enjoyable event experiences, starting with finding the perfect venue, by investing countless hours of searching for the best options in Barcelona, at no extra cost to you. 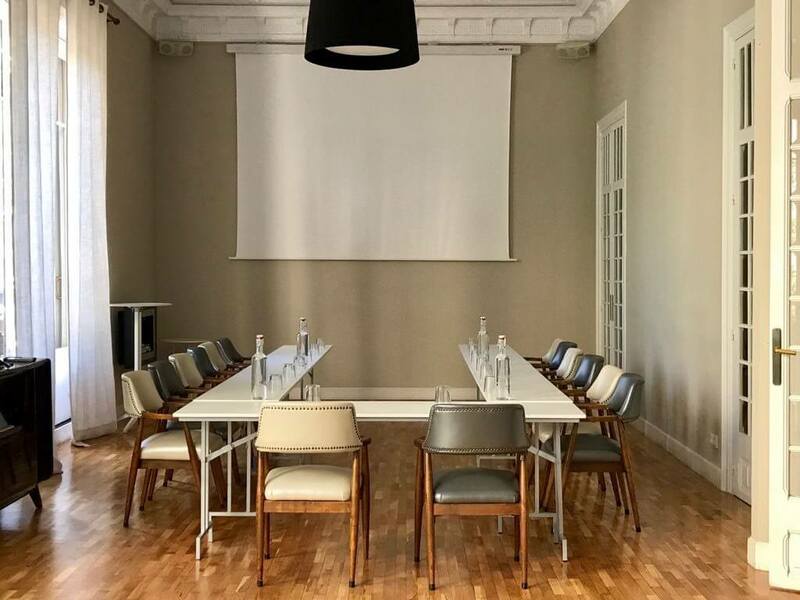 Interested in hosting your next event in this classical Barcelona venue? Get in touch with us today by sending an email to venues@akommo.com and we'll be back in touch within 24 hours, guaranteed. Looking for something a bit bigger for your next corporate event? Fill out your event request and get ready to save 40+ hours on your next corporate event for free. Sound too good to be true? Try your luck here. A special thanks to The Glassroom Barcelona for letting us capture some of the light in your brilliant event venue.